FOIMan explains why some truths we cling to about the UK’s FOIA are not quite what they seem. A few months ago I was delivering some FOI training to a local authority (always available at competitive rates, folks!). I was explaining how far council officers were expected to go when searching for information to answer an FOI request. In particular I stated that if it was known that information had been deleted but still potentially existed on a backup, the backup should be searched. The council’s FOI officer cautiously picked me up on my assertion. They had, they told me, had a written statement from the Information Commissioner’s Office (ICO) that contradicted me. So surely I was wrong? The truth is that despite what we are often led to believe, there are some aspects of FOI law that are not certain. The legal system has not yet settled on the ‘right’ answer. This is the case when it comes to debates about information held on backups and whether it is considered held. In the example above, neither I nor the ICO are technically wrong; but then strictly speaking we’re not right either. We’re both interpreting the existing law, and both interpretations are arguable. This is because English law revolves around the concept of precedent. But precedent can only be set by courts that make a decision beyond a certain stage. In a recent Upper Tribunal decision (LO v Information Commissioner,  UKUT 34 (AAC) (29 January 2019)), Judge Jacobs was critical of the Information Commissioner for treating decisions of the First-Tier Tribunal (FTT) as ‘authoritative statements of the law’. Strictly speaking, they’re not. When it comes to backups, we only have rulings of the FTT to go on, so there is no definitive answer yet on that issue. Interestingly, on this issue, the ICO choose not to accept the FTT’s approach without question in their guidance. My latest piece for PDP’s Freedom of Information Journal – What we don’t know (which you can access here) – looks at this issue in more depth – looking at the backups query, but also a couple of other questions which have not yet been answered definitively – perhaps surprisingly. You’ll see that there are disputes between the ICO, the FTT and the s.45 Code of Practice which will only be resolved if those matters reach the Upper Tribunal. It ends by asking what questions you may have about FOIA or the EIRs – as I’ve mentioned before, we’d like to answer some of your conundrums in a future issue of the Journal. FOIMan highlights a change in the final version of the recently revised s.45 code that confuses rather than clarifies FOI deadlines. 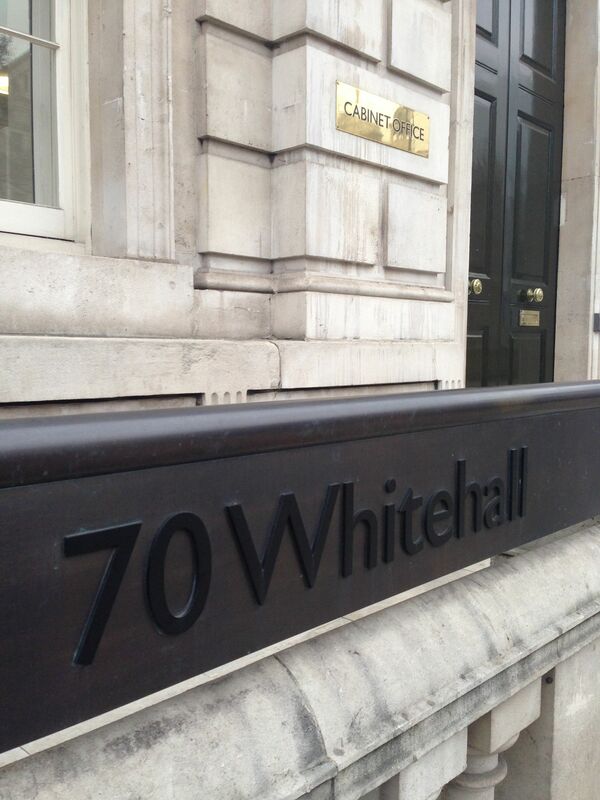 Last November the Cabinet Office published a draft of a revised s.45 code of practice. I summarised the content briefly here on the FOIMan blog at the time, and later wrote a more in-depth piece for PDP’s FOI Journal, which you can read here. An even more thorough (and critical) analysis was produced by the Campaign for FOI in its response to the consultation on the draft code. Back in July the final version of the code was published. Not a lot had changed but what had isn’t to be much welcomed. One particularly regrettable change simply adds more complexity to an already confused issue. One matter of repeated debate between practitioners and those using the Act is the seemingly indisputable matter of when a request is received. This has caused particular confusion in relation to requests received by public authorities over a weekend or on any other non-working day. In fact, it shouldn’t be a difficult question to resolve. The wording of the Act itself offers a clear solution. At s.10(6) it defines the ‘date of receipt’ as ‘the day on which the public authority receives the request for information’. Note that it talks of ‘the day’. Not ‘working day’, a phrase used elsewhere in s.10. So the day of receipt can be a Saturday, for example. The first working day – day one for the purposes of FOI – is the following Monday. This is the approach taken by the Information Commissioner in her guidance (see paras. 36-39). The date on which a request is received is the calendar day on which it arrives… If a request is received on a non-working day, for example a Saturday, the next working day i.e. Monday, should be counted as “day one” towards the deadline. The date on which a request is received is the day on which it arrives or, if this is not a working day, the first working day following its arrival. It is not clear why the approach was changed, but changed it was. 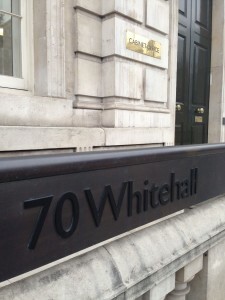 The Cabinet Office’s final choice of wording potentially buys public authorities who follow it an extra day when answering FOI requests, yet appears to contradict the Commissioner’s guidance, and more importantly, the wording of the legislation itself. It will be left to the Commissioner and tribunals ultimately to decide which approach they think is correct if this is ever in dispute. I would suggest that it is most likely that they would plump for the wording of the legislation over what the Cabinet Office wishes it said. Ultimately this is an argument over a day. And given that FOI also requires requests to be answered promptly, it is perhaps academic to a degree. But it does seem unfortunate that the Cabinet Office has chosen to sow yet more confusion over the interpretation of FOI, when it had an opportunity to provide clarity. Get in touch if you would be interested in training on FOI, including the new code of practice. 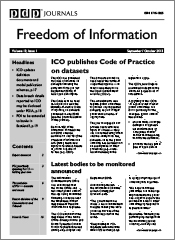 The new code is covered extensively in my forthcoming book The Freedom of Information Officer’s Handbook, which is due out in the next couple of months. Details on how to pre-order (and obtain a discount) can be found opposite. The Freedom of Information Officer’s Handbook by Paul Gibbons was published by Facet Publishing in January 2019. Readers of this blog can order copies direct from the publisher with a 30% discount (so it will only cost you £45.45) by emailing info(Replace this parenthesis with the @ sign)facetpublishing.co.uk and quoting the code FOIBLOG30 (do not supply payment card or bank account details by email). The publisher’s distributor will then contact you to arrange payment and discuss despatch instructions. Understanding Modern Government courses - Paul Gibbons (FOIMan) will be delivering/chairing the following training courses for Understanding Modern Government in the coming months. Further details and booking information can be found on the Understanding Modern Government website. Paul can provide other support in these areas including review of policies and procedures, and conducting records surveys and data protection audits. Find out more about FOIMan training and other services. Paul Gibbons has two decades of information management experience in the UK Parliament, Greater London Authority, Pfizer, the NHS, local government and higher education. Best known for his FOIMan blog, he also writes for the Freedom of Information Journal and has featured in the Daily Telegraph, Times Higher Education and on BBC Radio. Important note: Paul is not a lawyer, so nothing said here, on Twitter, or in correspondence, should be taken as legal advice. Paul writes for PDP's Freedom of Information Journal. Find out how to subscribe by clicking on the image below. Receive FOIMan posts via Email!